Mayo supporters become accustomed in recent years to enduring tough National League campaigns, where wins invariably prove to be hard-fought ones. James Horan has only two competitive matches under his belt back since taking up the reins once again as manager, however, but already he has brought his Mayo team close to Division One safety. Yesterday’s nine-point win over Tyrone up at Healy Park in Omagh was an impressive one and the Mayo News football podcast was there to capture the action. Co-hosts Rob Murphy and I open this latest podcast episode by reflecting back on what was a very satisfactory day from a Mayo perspective. Then, just after the final whistled had sounded in Omagh, I got the thoughts of Mayo News columnist Seán Rice. Rob checks in with Billy Joe Padden to see what he thought of James Horan’s melding of young and old and where he reckoned this game was won. Then the focus switches to the Mayo News HQ in Westport where Mike Finnerty and Edwin McGreal widen the lens and look ahead to how Mayo might approach the forthcoming challenges starting with next Saturday evening’s clash with Cavan. 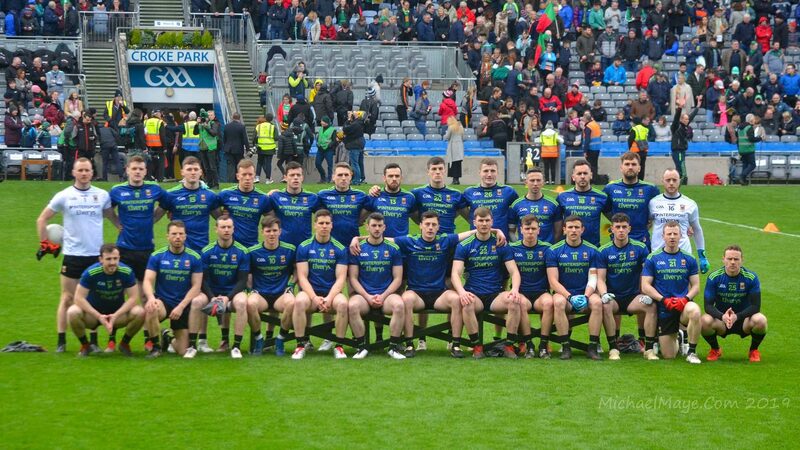 We end the episode back at Healy Park where I chat with my Irish American cousin Daniel Fitzmaurice about seeing a Mayo match in the flesh for the first time. This latest episode of the Mayo News football podcast is now online and is available to listen to on iTunes and SoundCloud. You can also listen to it on the Mayo News website as well as here on the blog using the SoundCloud player below or the one on the panel on the right-hand side. Enjoy! Enjoyable Podcast… But I don’t think we can give the job of resurfacing McHale Park to Billy Joe….at a cost of €500K, it’s only 137, Meter’s X 82 Meter’s.. that’s aprox 1.12 Hetacres…ask any farmer?… they may have spent millions on Páirc Ui Cáoimh, they have still a dreadful surface! I usually save the league podcasts until the day of the game so we can listen to them in the car on the way (and get into the zone, ya know?). I was too impatient last week and had to settle for the GAA Hour on Sunday on the way to Omagh. One hour and ten minutes of Woolly giving out, god help us all. He’s no Rob Murphy! Mind you he did tip Mayo to win. Keep up the great work lads. Looking forward to hearing what Sean Rice had to say. Joe – can you please stop using the ‘Joe’ handle? It’s already in use by another long-standing contributor. I’ve only now noticed that you started using the same handle recently so, to avoid confusion, please find another one. I’ve added a ‘2’ to the handle for now to differentiate it from the other user. On that podcast issue you’ve mentioned, it’s impossible to know from the information you’ve provided why you’re having this problem. Any additional information you can give about how you listen to our podcasts versus other podcasts would be helpful in establishing the problem you’ve described. Do you, for example, listen to other podcasts in the same way (e.g. via iTunes) as you listen to our one? If not, it might be worth trying this. Joe 2, if you download the podcasts using either the iTunes or the Soundcloud app this shouldn’t happen. It happens to me as well when I listen via Soundcloud in my browser, especially if in battery saving mode. Hope that helps.